Khoa is a dairy product used for making sweets in India, Nepal, Pakistan and Bangladesh. It is like fresh cheese, but contains lower moisture. Based on the moisture content, khoa can be classified into batti, chikna, pindi, daanedar and dhap. The sweets made using khoa are gulab jamun, pedha, barfi, gujia and halwa. 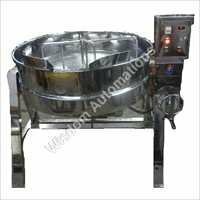 A khoa making machine can make a task of making a large amount of khoa much easier. 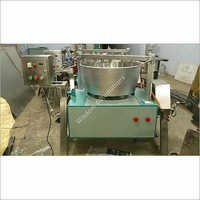 Our manufacturing company in Coimbatore manufactures steam operated koya making machine and gas operated khoya making machine for the food industry. The gas operated machine are available in different models, each of which can be identified from their capacity, weight, size, and motor. The structure of these machinery are made using food grade stainless steel material, which makes it resistant to rust and corrosion. These machinery can also be used for roasting and mixing in chemical industry and pharmacy. Copyright © 2019-20 by WISDOM AUTOMATIONS All Rights Reserved.